Very, very mixed emotions and feelings swept over us all day today. Physically, it was a bit of a longer walk than recent days and it had one big hill that we could see from Padron and a few smaller ones but neither the length or the climb mattered most today. The mental and emotional portion is what needed controlling. We were sad it was our last day on the Caminho but happy at the same time that it was over. It was a quite a challenge many times but it has also been great fun. 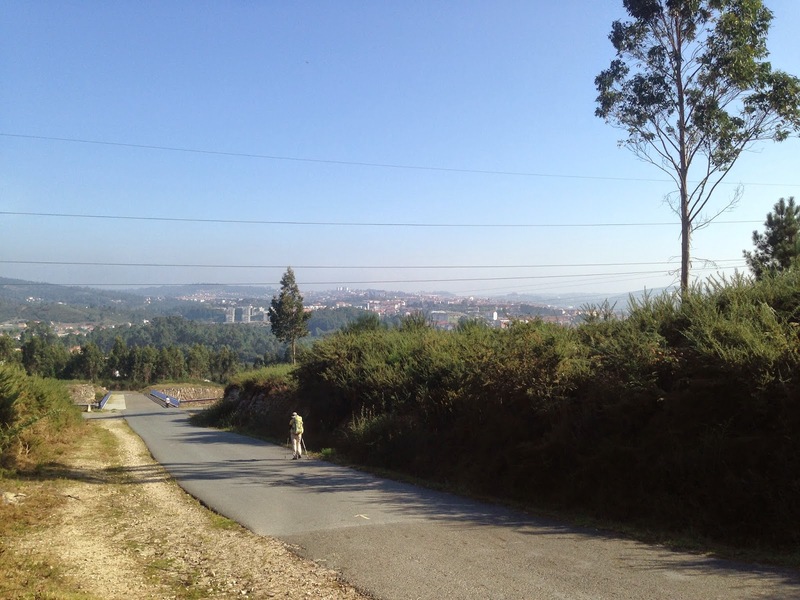 We were also sad and disappointed that we are not going to have enough time to walk to Finisterra / Muxia as well as get to Fatima and enjoy Santiago. We also know we are going to say goodbye to good friends over the next few days but hopefully we will be catching up with people from earlier in the walk who were faster or slower. Additionally, we were not sure what it would be like walking into Santiago again. Would it be an anticlimax, particularly since we had been here before? Finally, today is the anniversary of Melanie’s brother’s passing away. Tomorrow would have been my parents’ 60th wedding anniversary. A priest back in Baltimore who was close to our family was dying of leukemia. A couple of my siblings have recently received bad medical news. Family was very, very much on our minds. As it turned out, it was a beautiful day for walking with a real chill and thick fog in the air. It didn’t start to get warm until we were doing the big climb to Monte Agro after Milladoiro around 10:30am and that was in the shade. It was also from the top of Monte Agro that we knew we would be able to see Santiago again so we didn’t mind the heat. We walked a bit with the speedy Dirk but we figured out that this was because we had stopped for Melanie’s coffee and my juice already but Dirk had not had his breakfast yet. We had a full fuel tank and Dirk’s was empty. At the first café Dirk could stop after he realized that, he did and was soon passing us again. Our first stop had been about ten meters past the church doors in Padron. 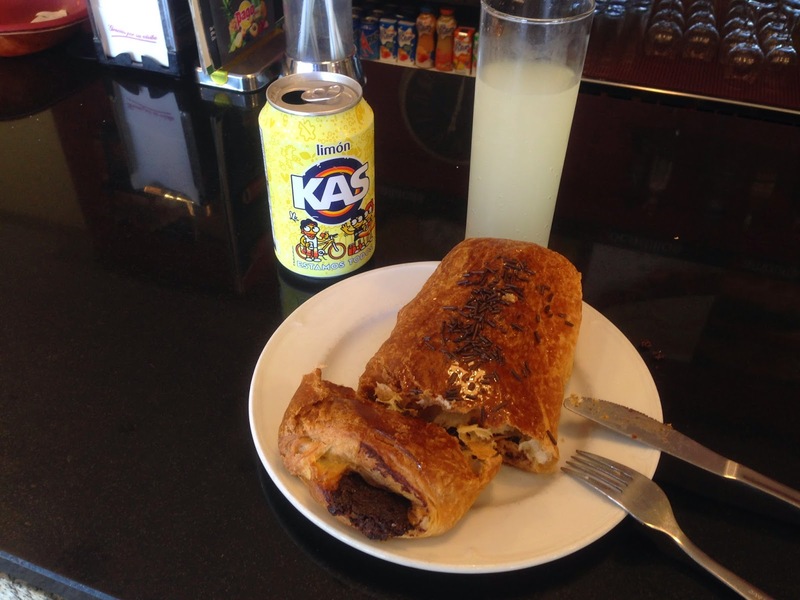 When the owner of the café called out a “Buen Camino” to us from the doorway, we just had to go back and buy something. The owner turned out to be a real character when he showed us all his gifts from pilgrims from around the world as well as his guest book that we were required to write a note in. After we finished, he came around the counter to give us hugs as a send off on our last day. It was a good start. The Caminho went through some nice back country lanes and a little bit of tracks but it was never far from the N550. Some of the towns seem to be real Pilgrim towns, like on the French Route which were mainly built for the Caminho. Climbing closer and closer to the old town of Santiago, it is hard to tell if our feet or our heartbeats were moving faster. As we crossed the street and got into the old section, almost immediately when we looked up, I could see one of the spires of the Cathedral looming over us. There was no anticlimax here. I started to cry with happiness. Make that “sheer joy”. I understood later when we did go inside the cathedral (they are much more strict about not going in with backpacks, so we went in after finding a place to stay). Inside, I wasn’t thinking “big deal, I’ve seen it all before”. It was much more like visiting my childhood home, decades after the family has moved out. I was practically running from statue to statue, chapel to chapel, to the altar, to the crypt, to the botafumeiro just to say hello to my dear old friends. I noticed small things like the higher flowers hiding the deeds of St. James Matamoros and the more permanent railings around the Tree of Jesse. I think I could return here often, see something new every time and never tire of it. 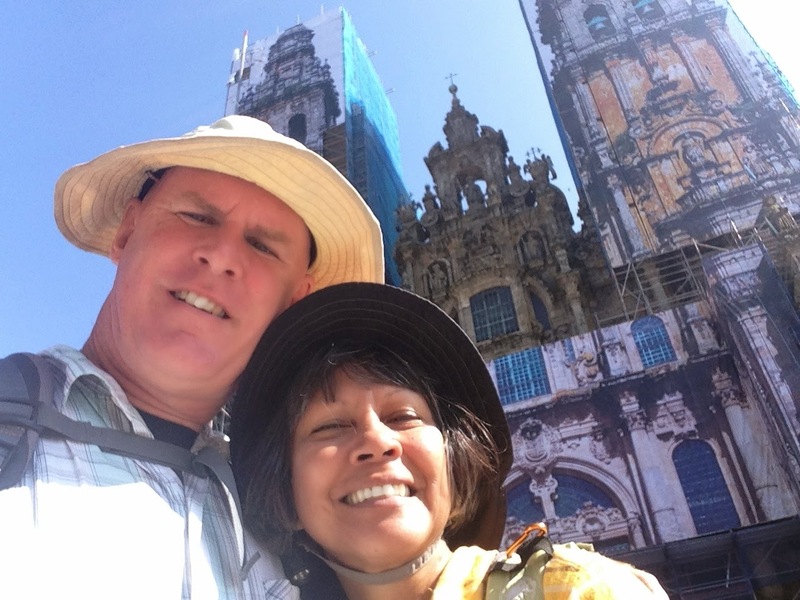 We spent the first few hours after arrival just hanging out in the Plaza de Obradoiro chatting with people we walked with recently as well as looking for those who finished ahead of us. 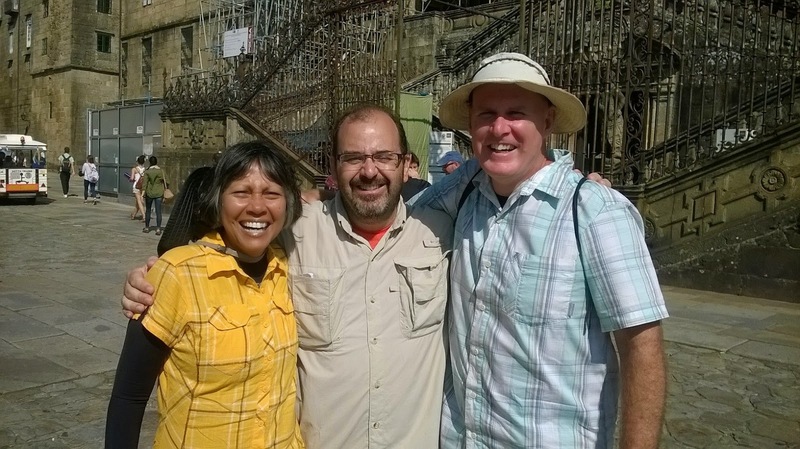 Amazingly, we found Tom who, with Ursala, we met in Tomar and walked / dined with back in Rabaçal. More amazing than that was that those two had bypassed Santiago, walked around it to Finisterra, up to Muxia, then back to Satiago and still arrived two days before us! We also enjoyed watching the other people from the French route arriving and greeting each other. We congratulated everyone who looked like they walked here from further than the bus depot. At 7:30pm at least 30 pilgrims from the Portuguese route met, by agreement, for photos, drinks and dinner. One last hurrah. For those following us, do all the things that you should do in the Cathedral and around it. Hang out in that area as much as possible. See your friends again, likely for the last time and enjoy their company. Hug the statue of St James behind the altar to give thanks for a safe journey. Really hug him. A hand on his back doesn’t count. Say a prayer at his crypt. You may not be a practicing Catholic and his relics may not even be in the crypt but it doesn’t matter. Cover all your bases. I’ve prayed at mosques and synagogues, just in case. Look (sadly you can no longer touch) the center pillar at the back of to church. Imagine your hand adding to the millions of handprints before you. Attend the pilgrims’ noon mass and listen for your “arriving yesterday from Lisbon were two pilgrims for Singapore” (although for the second time, we were disappointed to be skipped over). I hope the botafumeiro swings for you. Also attend the alternative masses in a language you can understand if you don’t speak Spanish and something else is available. That was the other time I cried. Look for the vespers service after the short 7:30pm mass at the lovely small church at the end of Via Sacra behind the cathedral. Nuns, when in a group, sing like angels. It’s the best free half hour concert on earth. BTW, that makes our Portugues Caminho 659.6km, if my math is correct. Not bad for these old legs. This may be my last post on the blog for a while but it’s not the last entry. Please check back in a week or two. I need to get back to Singapore to do the very last post. I need to do a few more things. Like every other pilgrim, we look in the Plaza de Obradoiro for our Caminho family who arrive before or after us. Marcelo is our closest Caminho brother. 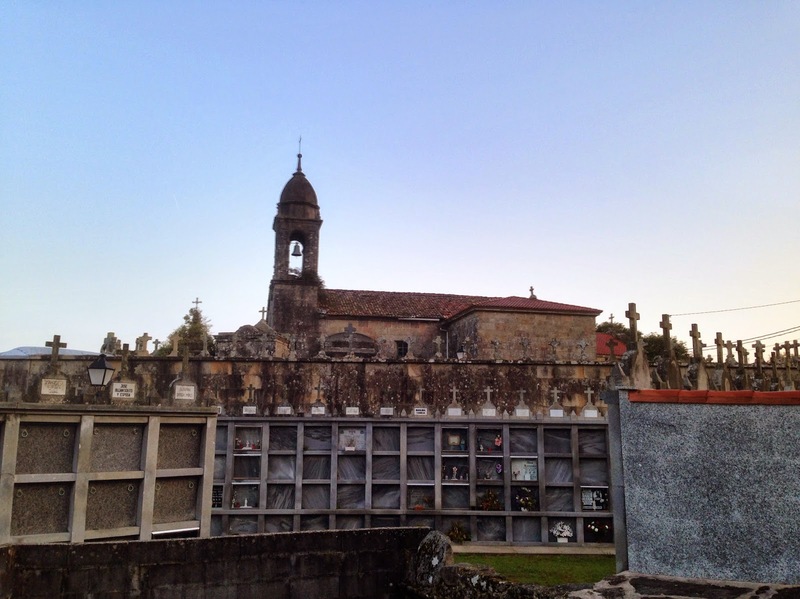 I hope you get alerts for belated comments – for this was a truly great blog, which I found in my own preparations for the Caminho Portugues. VERY informative, helpful and amusing to boot!! I think we share a great deal in terms of Caminho requirements and priorities – myself as a self-described “luxury” pilgrim. Sharing a dormitory is a last resort for me. 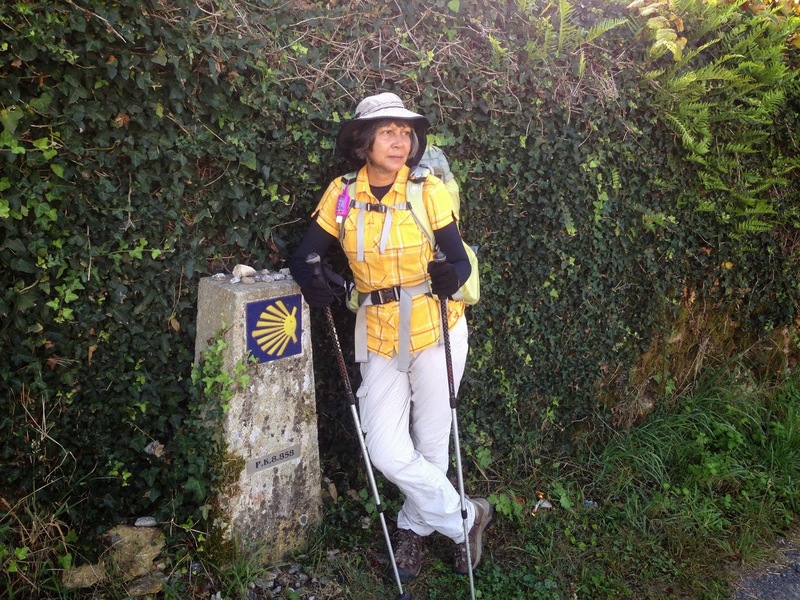 I am meeting up with a group of friends I made on the Camino Frances last year to start from Lisbon on June 1, 2015 and have already told them all to read your blog. As an expat Brit living in CT – and previously in Singapore – I loved those references, too. Thanks Geoff and Bom Caminho for your next walk.